"Keith Livingstone, from New Zealand recently published a new book about an old training method, writing it in today’s language. He has taken the famous training method of the late and incomparable Arthur Lydiard and modernized it so everyone can understand the theory and application fully in a book he calls, Healthy Intelligent Training or H.I.T for short. 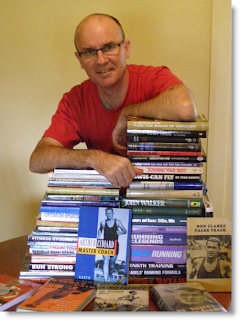 The Lydiard method may have produced dozens of international medals for New Zealand, Finland and several other countries,......."
I have a couple of spare copies of Keith's book. If you want a copy, you can have it for NZ$40 plus post. First in - first served.